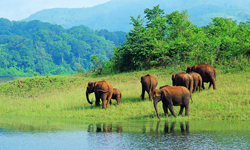 The state of Kerala is a lush tropical paradise of historic towns, hilltop plantations and scenic coastlines. After touring Cochin, a former 16th Century, Portuguese colony, look for wildlife in the Periyar Reserve and then explore the glorious backwaters around the village of Kumarakom before spending 24 hours on board a luxury houseboat traversing the area's tranquil canals. 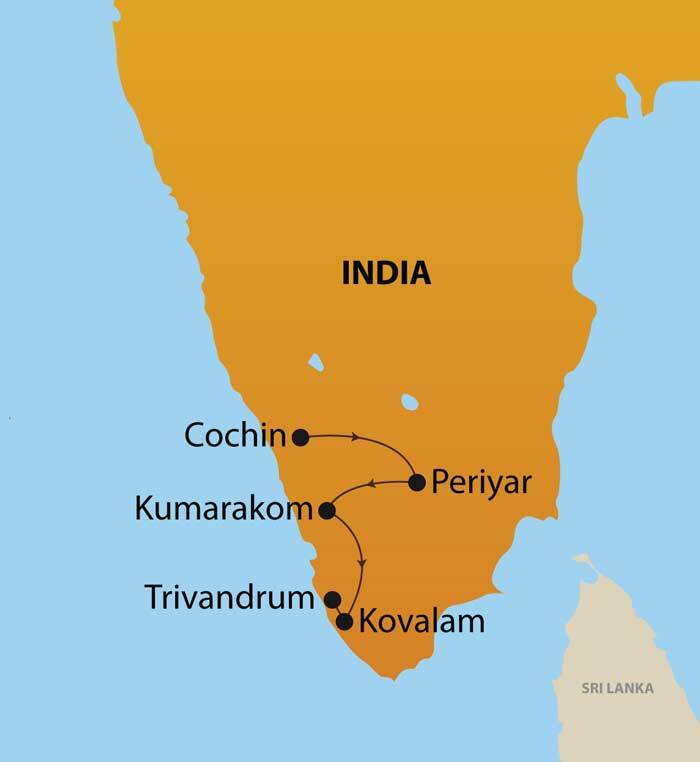 The remainder of the tour is spent relaxing on one of Southern India's most popular beaches, Kovalam, enjoying the resort's facilities and watching beautiful sunsets over the Indian Ocean. Today we board our comfortable houseboat for a leisurely day of exploring canals, lakes and coves in the Backwaters and drifting past villages, lush rice paddies and palm plantations. Overnight on board houseboat. Today we transfer you to the airport in Trivandrum for an onward flight.